The Weekly Screening Write-Up is an ongoing series for my blog. The purpose is to review briefly, at minimum, one film a week. In order to keep it interesting, I have imposed two pieces of criteria on myself for this entry. I will only write on films that I have viewed for the first time and, going along with that, it will not be a film that I own. I will describe the manner in which I watched the film and give a brief review. 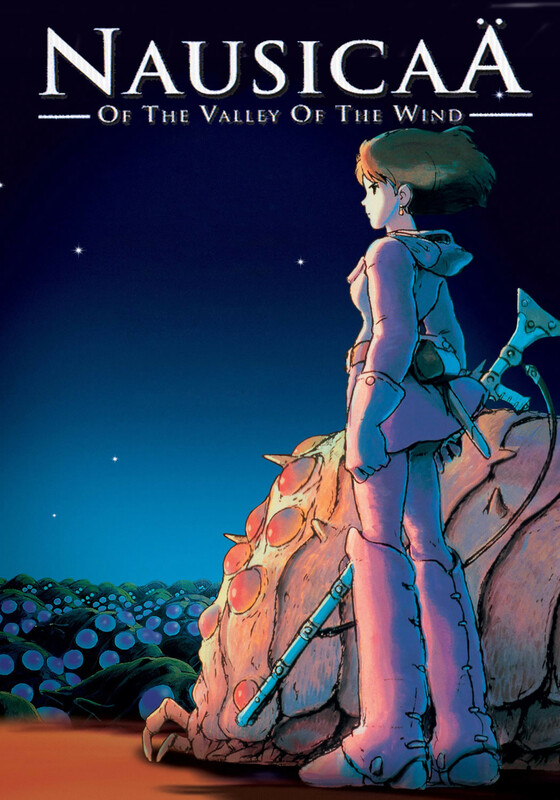 Nausicaä was great. The film holds an important place in history, as it served to demonstrate the quality and imagination that would come from Miyazaki and Studio Ghibli. Although early and pre-Ghibli, I found many of the reoccurring standards of Miyazaki’s work: themes of nature vs. humans, motivationally complex antagonists, complex characters, and well-imagined worlds with breath-taking animation. Our main character is a kind, anti-war, but assertive princess who I found to be a fantastic character. Her willingness to prevent a war that would plunge the world into further darkness was a driving point of the film and frankly, I enjoyed it. On another note, this movie’s vision of a dystopian future is absolutely amazing. A film in which the industrial world collapsed one thousand years prior makes it feel very alien yet familiar all at once. I would say that this was one of Miyazaki’s most imaginative works, but that description could be applied across the board. Perhaps not quite as imaginative as Spirited Away or as adventurous as Castle in the Sky, but that is all debatable. I would certainly recommend this film to anyone, especially if they are new to Miyazaki’s films or Studio Ghibli in general. Also, it is nice to see animated films that are fill with complexity, rich themes, and serious issues while still maintaining a high level of entertainment and action. If you haven’t seen this masterpiece, check out the work of a master. 2005 DVD rented from Netflix. The picture was not the best, but the recent Blu-Ray releases have spoiled me. I certainly hope to obtain the Blu-Ray of this one sometime this year. This entry was posted in Movies and tagged Animated Films, Anime, Film Review, Hayao Miyazaki, Horror Films, Nausicaa, Studio Ghibli. Bookmark the permalink.